The University of Wisconsin Extension (UWEX) in Milwaukee County has long remained a core source for education, land access, and technical resources pertaining to urban agriculture. The first UWEX community garden dates back to 1972 at the historic “Milwaukee County Grounds”, just northeast of the zoo interchange. Today UWEX provides (10) community gardens throughout the County, serving over 500 families (45% of minority backgrounds) on 75 acres of land. Embracing the vast diversity and culture shared amongst gardeners, we commit to building sustainable centers for urban agriculture throughout Milwaukee County. 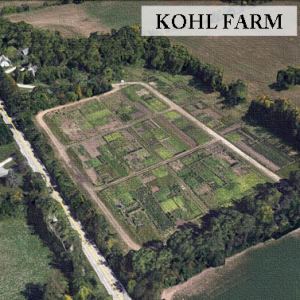 UW Extension has rented gardens in Milwaukee County since 1972. For urban residents who do not have a place to garden, the garden plot rental program provides an opportunity to grow nutritious food, save grocery money, enjoy some exercise and share family traditions. To learn more about renting a garden, visit the Garden Rental web site or contact the garden rental assistant at 414-615-0538 or garden.rentals@ces.uwex.edu. Milwaukee County UW-Extension & the Urban Apiculture Institute have started Wisconsin’s first Certified Beekeeper program. In 2008, we secured a permit for an apiary at the community gardens in Wauwatosa and conducted our first beekeeping class. To learn more, contact Linda Reynolds, 414-615-0530, or visit the Urban Apiculture Institute web page. Since 1995, Extension Urban Agriculture staff have been teaching gardeners with physical and developmental limitations the joy and techniques of gardening. We train clients and caregivers at our innovative accessible demonstration garden and adjacent greenhouse. For more information about accessible gardening or to arrange a tour, contact Dennis Lukaszewski at 414-615-0532 or dennis.lukaszewski@ces.uwex.edu. FEEDs, Food, Ecosystem, and Educational Demonstration sites, is working to make the community gardening movement stronger by building connections among gardeners. Extension staff conduct workshops to help people create and sustain community gardens. We enhance communication among gardeners through a website and email list-serve. To learn more contact Ryan Schone at 414-615-0537 or ryan.schone@ces.uwex.edu.